[CodeOperator] has released IIR-Reverb which is the first plug-in in its new URSonic series. IIR-Reverb is a colorful reverb effect with a high density. It comes with a 5-Band full Parametric Graphical based Equaliser that you can edit the reverb tail in every frequency you like. You can form every space you need, especially Drum Rooms. 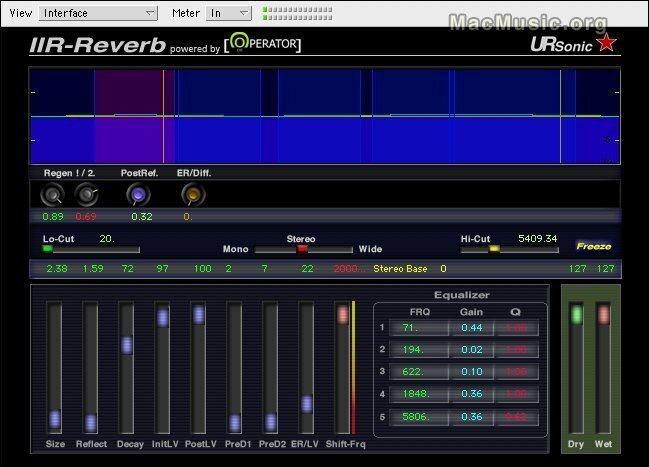 IIR-Reverb is available now for Windows and Mac OS X (UB) in VST, AU and RTAS formats via the Pluggo Runtime and costs $199. Note that audio examples and demo versions are also available.